Great cordless vacuum was worried because it was a refurbished product but works excellent. Dimensions 11.0 In. X 10.0 In. X 25.0 In. Best vacuum I have ever owned, cord or no cord. Exceptionally flexible, powerful, lightweight and with head light. Super easy to clean. Lasts 20-30 min. Great on carpets, hard floor and even cleans the deck! Be sure to get the SV1112 model only. Super price as well. Great product, high power & suction... wood floors to carpet, easy transition. I like this vacuum for hard floors. It will hold its charge for about a half hour depending on the size of the house to be cleaned. It works well on small thin throw rugs. I wont use it on any major carpets. Its the closest to my old favorite I have been able to find. Its also nice that its cordless but I do have to remember to charge it each night. 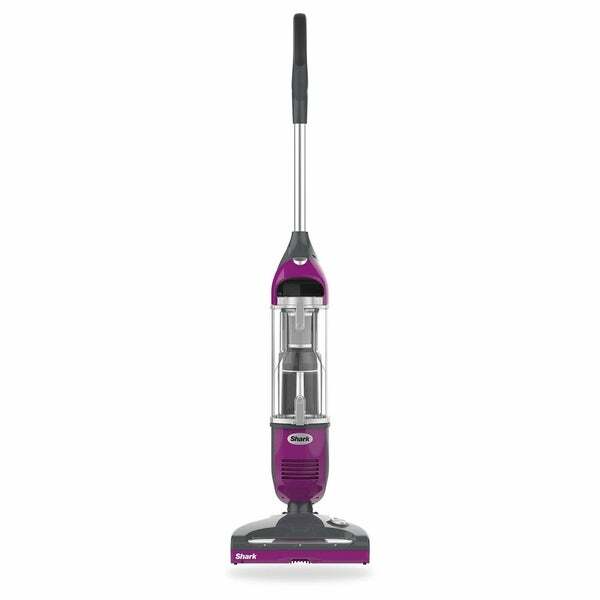 This is a great vacuum, perfect size to put in my kitchen closet and to get out whenever I want to clean up small messes. I bought for dog hair as I have two huskies who shed a lot and it's nice not to have to get the big vacuum out every day. I would recommend this product. This was my first cordless. Works great, has good suction on the rug and hardwood floors. No vacuum bags or filters needed. Debris cup is easy to remove. Love the purple, the color was a nice bonus. Portability, size, weight, battery life are all positives for this nifty little vacuum. I have 4 dogs inside and it picks up dog hair, dust and dirt great. The performance of this little vacuum should not be compared to a full size stronger machine but it is perfect for quick pick ups! It's runs after doing my living room to enough power to vac carpeted stairs very well. I like the sucking power. It's much better then those cordless stick vac. This one is worth every penny. I'm impressed. This was a great purchase for us. Recently moved to mostly tile floors and a quick good hard floor vac is what we needed. You can do carpet too, but it doesn't really do as well on those for me. I have had this for 2 weeks now and my wife enjoys the vacuum. Okay but not in love! Pros are this vacuum is very small and lightweight. Cleaning capability is ok..my full size vac does much better job. Bought this, it arrived yesterday and I charged it overnight, it runs for a minute and then dies. Can’t seem to hold a charge. Super disappointed with it. Seems like it would be a good vacuum if it worked. This item didn't work right. However, I emailed about it yesterday and I was surprised to get a call about it tonight. They are picking the item up and giving me a refund. What awesome service. Great price. Great machine. I own one now and want for gifts.